I wouldn’t say The Witch Hunter is incredibly unique or terribly fascinating, but I will say it’s a solid, engaging fantasy read for anyone who likes YA Fantasy, especially on the more historical side. The Witch Hunter follows a witch hunter named Elizabeth who is accused of being witch, the penalty of which is death. And she would have died, if it weren’t for the most powerful wizard in the world, Nicholas Perevil coming to rescue her. Elizabeth discovers she’s a part of something much bigger than she ever could have dreamed, and she has to decide whose side she’s on. I read the Witch Hunter in about two sittings, and it moves very quickly and with lots of interest. I enjoyed it immensely. It’s certainly not a perfect book, but it has a lot going for it. Elizabeth is stubborn and of course, by the end she’s very self-sacrificing and is like “no, you must leave so I can go and finish this thing even though I’m going to die” etc. She’s generally likable, and can take care of herself, which is always a plus, and while she’s not the sharpest tool in the shed, she still is a heroine worth rooting for. There’s a lovely romance of course, with a healer, which lends itself to lots of awkward and heated…healing scenes. The magic isn’t terribly well defined; it’s sort of like, “oh yes, we can do this thing because we’re magical people”. Magic systems are hard to write, and there’s not really anything unique about the magic in The Witch Hunter, but that’s ok. Not every fantasy book can be Mistborn. The Witch Hunter feels a tad disjointed in places, but again, it’s a solid read. It may not be your favorite book of the year, but I feel certain that it will entertain you, should you offer it your time. This book is filling the category “A Book from a Debut Author” in my 2016 Bingo Challenge. To see more info on my 2016 Reading Challenges, go HERE. 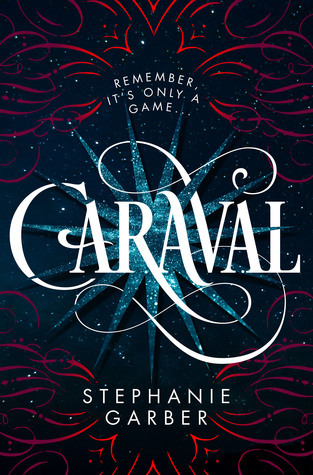 This entry was posted in 3.5 Stars, Book Reviews and tagged 3.5 Stars, Dark, Fantasy, Love Triangle, Magic, Romance, YA.